Nas & Damian Jr. Gong Marley, Buju Banton, Warrior King, Damian Marley, Fantan Mojah and more. 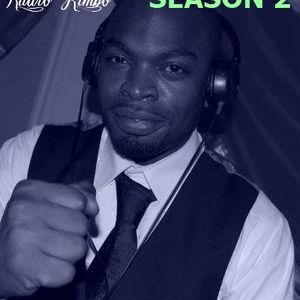 Season 2 Episode 0 of Radio Kimbo. Things are changing, new Presenter Saleem also, 2 and even 3 mics in the Studio for Guest Speakers, This First Episode "0" from Season 2 will be a short introduction of "Saleem" the new Presenter, with a little Selection of his "Desteny Reagge Tunes"
Presented by Saleem and Produced by Miguel Ahumada @ Ambulant Studios. Episodes of Radio Kimbo are Reagge / Dubstep /DnB / Hip-Hop / Brass / Rock / Spoken Word and Poetry. Produced @ Ambulant Studios by Miguel Ahumada.